We have a tour brochure showing all of the known Antibellum (pre-Civil War) Homes in St. Albans. (7). The 27th Annual Christmas Historic Homes Tour in 2017 will be on Saturday, December 14 from 5-8 pm.. Several historical homes will be open for the tour as well as the C&O Depot. A shuttle will take visitors to the various properties and made a continuous loop. 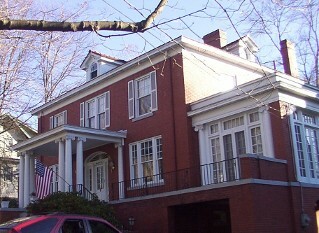 The tour begans at the St. Albans Historical Society building at 404 Fourth Ave., adjacent to the C&O Depot. All of the properties will feature Christmas decorations and refreshments. Tickets are $10.00 for adults and students and children are free. Tickets are available at the St. Albans Historical Society building the night of the tour only beginning at 5:00 pm. 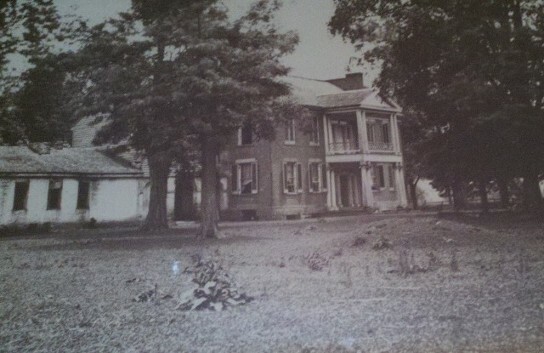 Valcoulon Mansion was built in 1829 by Col. John Lewis on land near where Ft. Tackett was located. This was called Camp Tompkins and used by the Confederates during the nearby Battle of Scary Creek in 1861. The magnificiant house was razed in 1916 to make way for the Rossler & Hasslacher Chemical Company for wartime chemical production. Later... the site of the Valley Drive-in and now 84 Lumber.